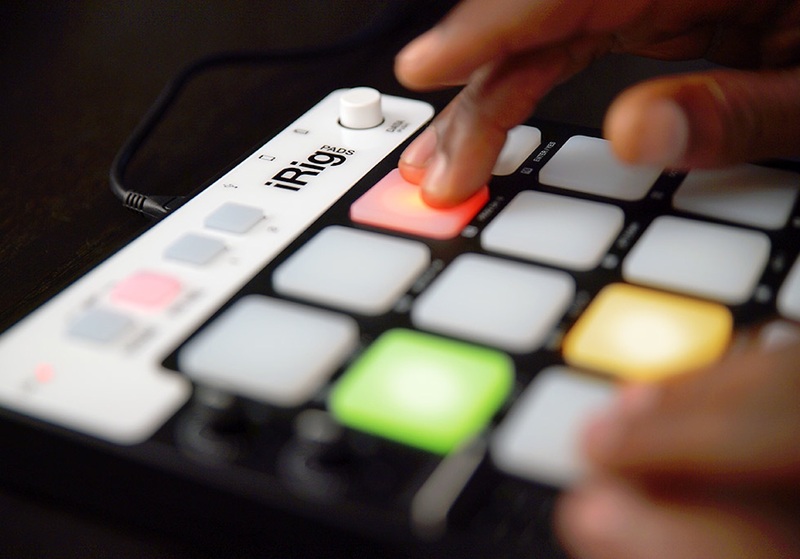 Easily play, create, and control music with the iRig Pads MINI Groove Controller by IK Multimedia. 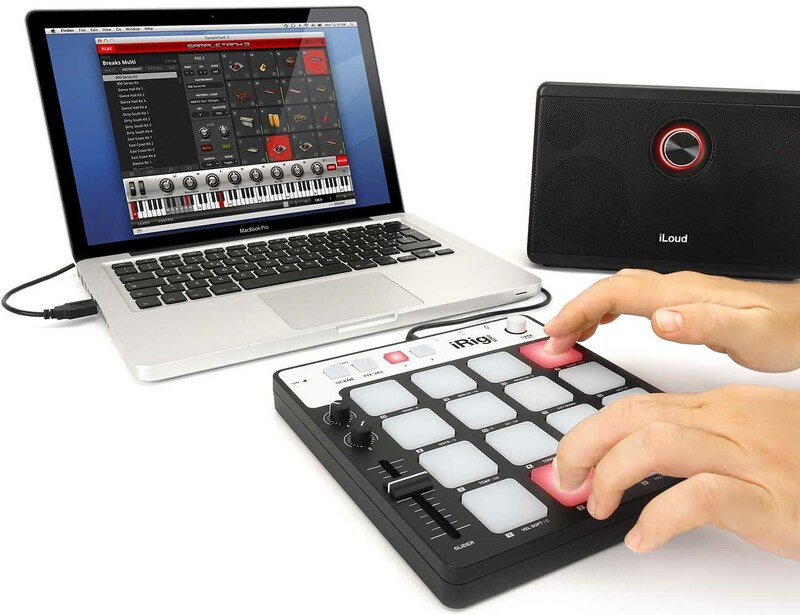 This ultra convenient MIDI controller is designed to be taken with you on the go anywhere, everywhere. 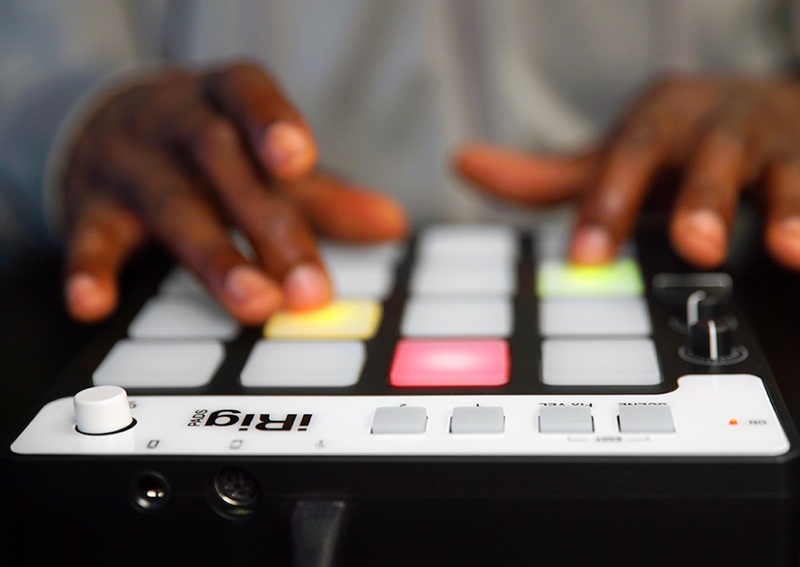 Compatible with a range of Apple products including iPhone, iPad, iPod, and Mac devices, the iRig Pads give you access to virtual drums, percussion, and electric instruments at your fingertips. 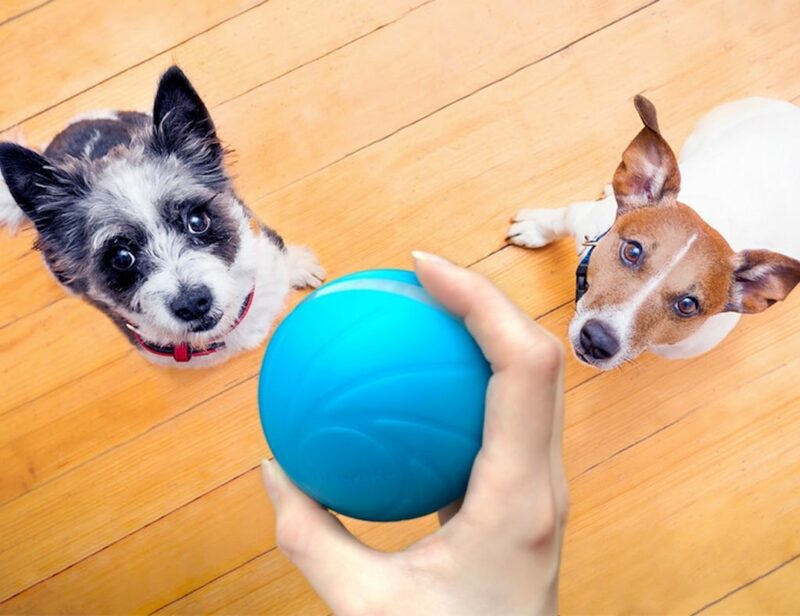 This clever tool is equipped with 16 velocity-sensitive rubber triggers that light up with a variety of three colors depending on you’ve played. The lights also double as a notification system for messages on your device. 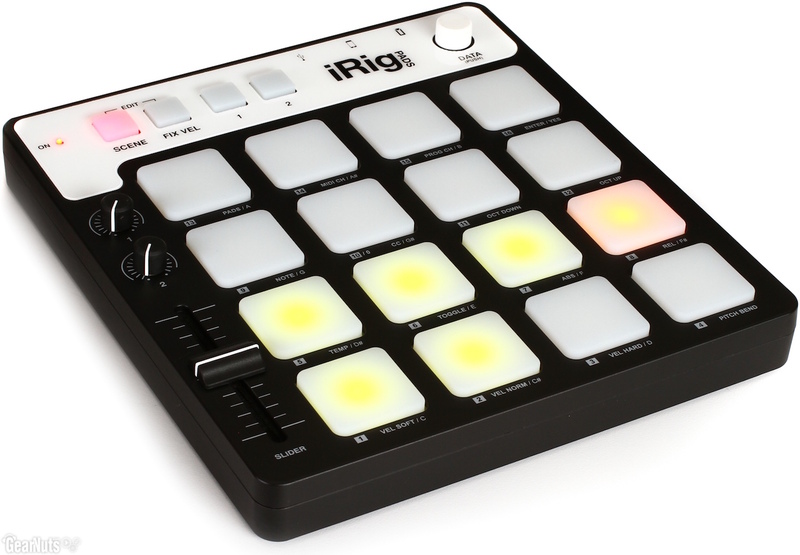 The iRig Pads has two knobs that you can customise as well as a push-button rotary encoder, two buttons, and a slider that are all programmable. 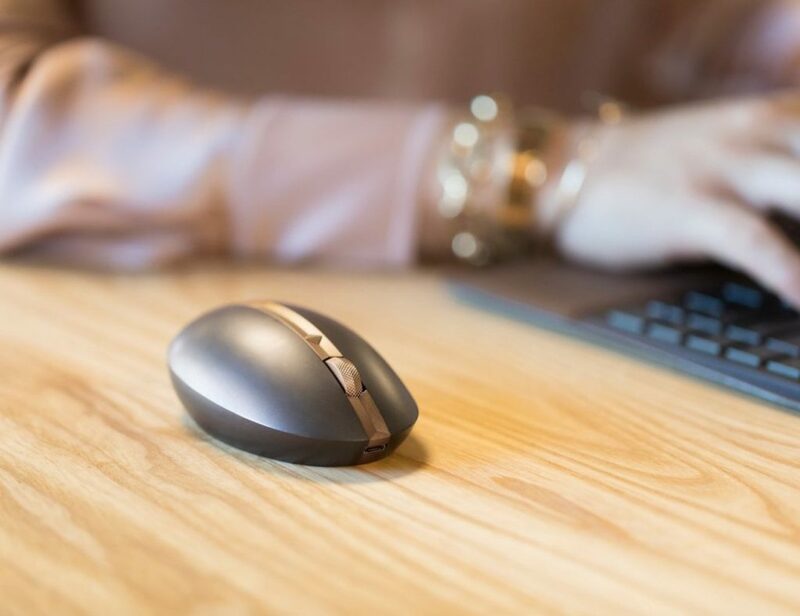 The iRig Pads comes with loads of pre-sets and, at less than one-inch-thick, is the perfect tool to always have on you.